Have you had your eye on a luxury sports car but are thinking that leasing may be a better option for you? There is nothing on Hoboken roads like the Jaguar F-TYPE. With a sharp design and a number of luxury features that help set it apart from others in its class, plus a high-performing V6 and V8 engine options, there is more to love than ever before. The new F-TYPE is available in coupe and convertible body styles, both offer the same exceptional ride quality on Weehawken roads and beyond. Browse your available Jaguar F-TYPE lease options by browsing your options below! Take Advantage of Jaguar F-TYPE Lease Deals Near Fort Lee! Are you having a hard time deciding between the Jaguar F-TYPE convertible and the Jaguar F-TYPE coupe? If you contact us to schedule a test drive you can take both body styles for a spin. 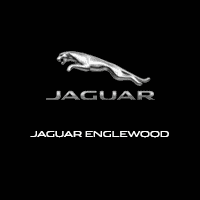 Our experienced staff also welcomes questions about scheduled maintenance and other vehicle specs for your new lease F-TYPE, as well as excess mileage, security deposits, amount due at signing, and monthly payments.